The mission of the Mason County Public Library is to inspire lifelong learning, advance knowledge, and strengthen our community. Does it cost anything to use the library? There is no cost associated with the use of library materials, internet access, use of computers for word processing or other office functions, children’s programming or other informational programs sponsored by the library. Materials which are returned after their due dates incur fines at the rate of .05 cents a day for each overdue item for print material, $1 per day for new video materials. 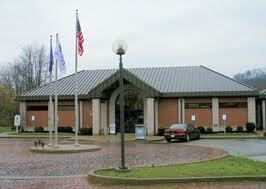 Out of county residents pay $5 a year for their library cards. It costs $.10 a page to print or copy black and white documents and $.50 a page for color. The Greifenkamp Community Room is available for non-profit and civic use. Who can use the meeting room? Mason County residents or students of educational institutions in Mason County can get their free library card by bringing something to the Library to verify their address: for example, a driver’s license, state identification card, or other similar document with photo ID. A photo will be added to patron records to protect their account. Use your library card to access your online account to renew books, see items checked out, reserve your favorite authors, or receive a text or email when you have a item to pickup at the library. To log-in to your account, click the Account Login link in the upper right corner of the Mason County Public Library website (www.masoncountylibrary.com). Enter your library barcode number (14 digits on the back of your library card) and last 4 numbers of your telephone number, as prompted. If you have questions call the library. There are 11 internet accessible computers, scanner, and printers available for public use. Time limits may be imposed during high demand periods of the day, and children under the age of 16 must have a parent’s written permission to use the computers without parental supervision. Microsoft Office software is provided on all terminals and several terminals offer Publishing software. Our fax number is (606) 564-5408.